Hello everyone my name is Ryan, I am one of the online marketing coordinators for National Park Reservations. Today is a rather exciting day for me, I am one of the lucky staff members who get to travel down to Yosemite National Park for a “Fam Trip” to get an in-person look at not only the park, but several of the hotels and lodges that our company books lodging for. 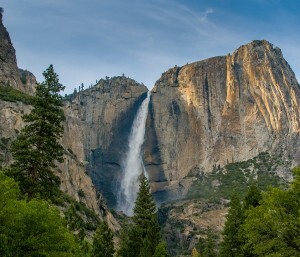 This will be my first time to visit Yosemite Park, although I have been intrigued for some time, as I hope all of you are by the beautiful pictures and videos that we have on our website . My purpose in going down to Yosemite Park is two-fold. First, I am going to be gathering more information and personal understanding of the park itself as well as the various hotels and lodges which we book in the area, so that I can better describe them to you fine people who visit our website looking for the most complete information and guidance for booking your lodging reservations and activities in and around Yosemite Park. Second, I hope to be gathering some more photos and videos which I will use to enhance our website and make it a more user-friendly and enlightening experience for all of our site visitors including you, so please check back often over the next few weeks, as I will be uploading my new photo’s and videos as time permits. I depart for Yosemite at 5:00 pm Sunday afternoon, so I will be adding another post sometime Sunday night, or Monday morning to keep you updated. Be sure to bookmark our site and check back in a day or two, to see how my trip progresses.